Ahh…Sharetea, long overshadowed by its big-name brothers and sisters but somehow still managing to hang in there. Or so it would seem. In truth, with seven outlets to its name, they clearly have a loyal fanbase that they are continuously looking to expand. 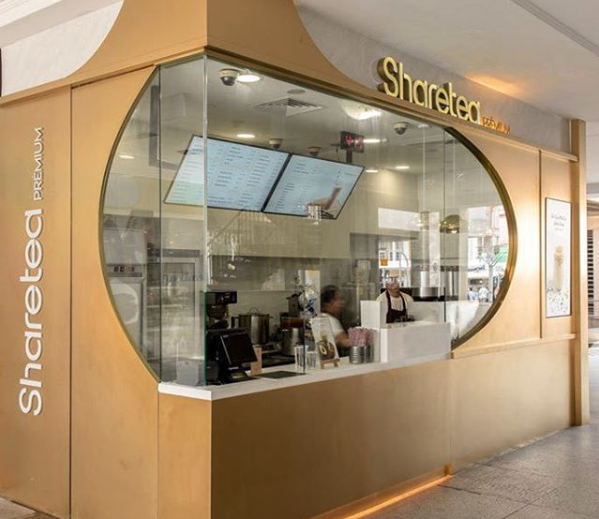 In a bid to grab a stronger foothold in the market, Sharetea has been working on polishing its brand and giving it a facelift in order to relate more to you, its customers. After collecting and consolidating feedback from consumers, Sharetea proudly presents – Sharetea Premium. It is a concept which brings bubble tea making back to its basics, where they concentrate on the quality of the brew and ingredients used. So far, only the Northpoint and Bugis outlets have been revamped, while the rest still retain their original set-up. 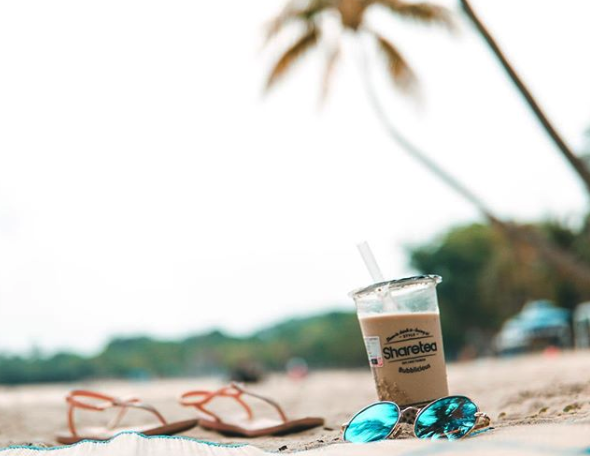 At these premium outlets, artisanal techniques for concocting are used, and you can expect more ‘atas’ options such as – cold brew teas, coffees and even mocktails! Intrigued? Read on. 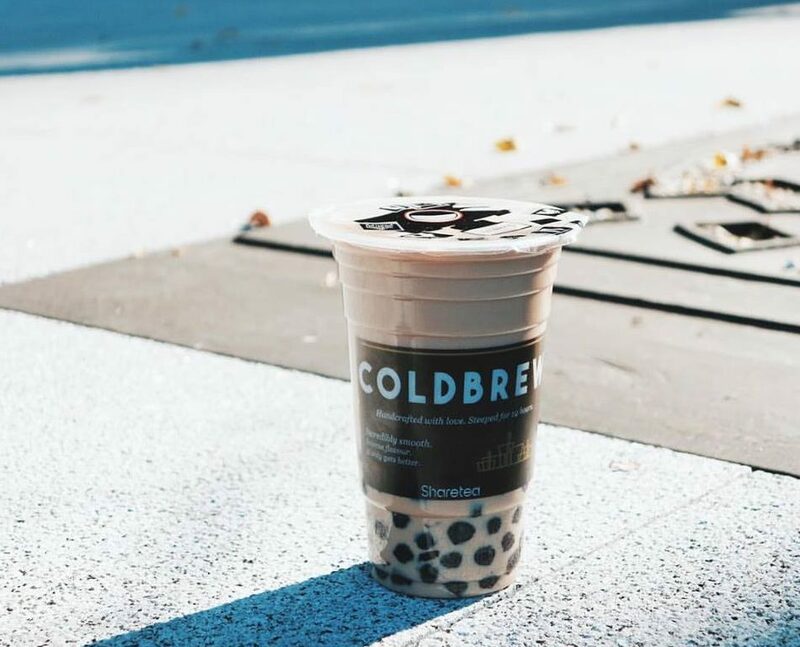 Their cold brew teas are basically made by steeping tea leaves in cold water for 10 hours, brewing the tea slowly to gently bring their flavours out. Unlike the conventional method of using hot water to release the flavour of tea, the cold brew method allows for a more authentic taste. The selection of brews include Oolong, Earl Grey and Jasmine Green Tea. This method also applies for their cold brew coffees. Simple and classic Oolong Milk tea. If you already like the original one that’s offered at normal bubble tea shops, you won’t just like this, you’ll love it. Using the cold brew method, the intensity of oolong is more vividly manifested, and makes for a deeper roasted flavour. The beauty of oolong is brought out more completely, but is not too overpowering, thus remaining a refreshing choice for a hot day. This is also available for earl grey and jasmine green tea, depending on your preference. Enough about the cold brew, now let’s move on to some of Sharetea’s signatures! Sick of milk tea and pearls? Steer away from your typical choices and maybe give this a go. Topped with a generous layer of vanilla sea salt milk cream, the wintermelon tea is sweet and thirst-quenching. This unconventional combination makes for an indulgent yet refreshing beverage. 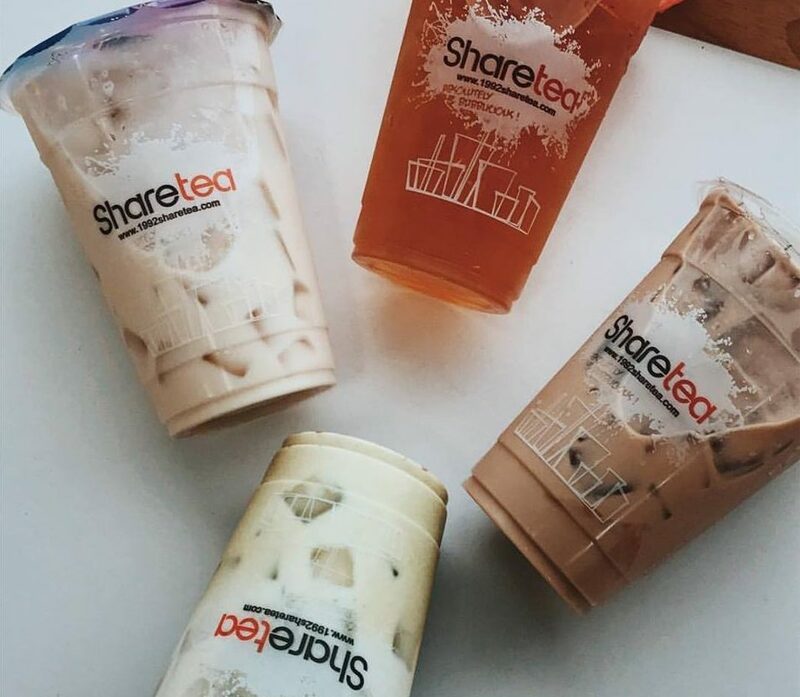 You can choose to pair the cream with Sharetea’s other tea selections as well, but nothing works better with the vanilla than the fragrance of wintermelon tea. I don’t know about you, but this instantly reminds me of Gong Cha. 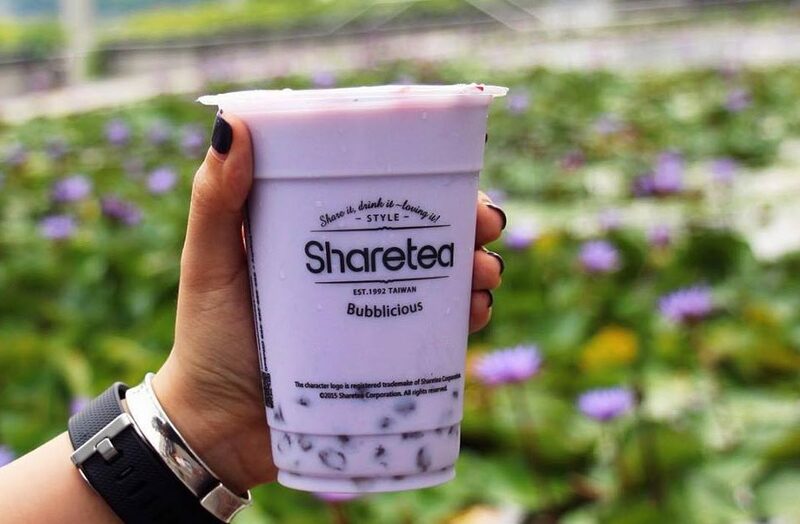 Rocking a similar appearance as its competitor’s Taro Milk Tea, this drink comes in a light shade of purple, which is soothing to the eyes. Their classic milk tea is mixed with yammy taro powder, which gives the drink a smooth and velvety texture. Taro-holics might fall in love with its robust yam fragrance, and its overall milky and creamy character. With such thick and sweet drinks, white pearls are the recommended sidekick as it does not contribute to the drink’s cloying nature, and instead lets it shine. Its chewy texture also adds value to the overall mouthfeel. Is this or Gong Cha’s version better? It’s up to you to find out. Yam Seng, guys, drink up. Unique to only local outlets, this is essentially just milk tea, but with subtle improvements. For one thing, it is notably more aromatic as it is roasted with brown sugar from Okinawa. To add another layer to its flavours, coffee is also added into the equation, which acts as a balance to the brown sugar. Perhaps you might call it a brown sugar yuanyang? One thing to note is that this drink tends to be sweeter than the classic milk tea, so if you’re not one with a sweet tooth, order it at a lower sugar level. I’m the kind of person who cannot comprehend the concept of milk teas without any toppings. For me, milk tea has to come with pearls, or pudding, or jelly, or what have you. The more the merrier! If you can relate to me on a spiritual level with regards to this, then this beverage is made for you. In one cup, the happy family of toppings come hand-in-hand. It is an all-in-one option that includes 5, yes you hear me, 5 toppings – red bean, nata de coco, normal pearls, mini pearls, and pudding. Also, if you’re hopelessly indecisive about your choice of toppings, this fixes the problem. 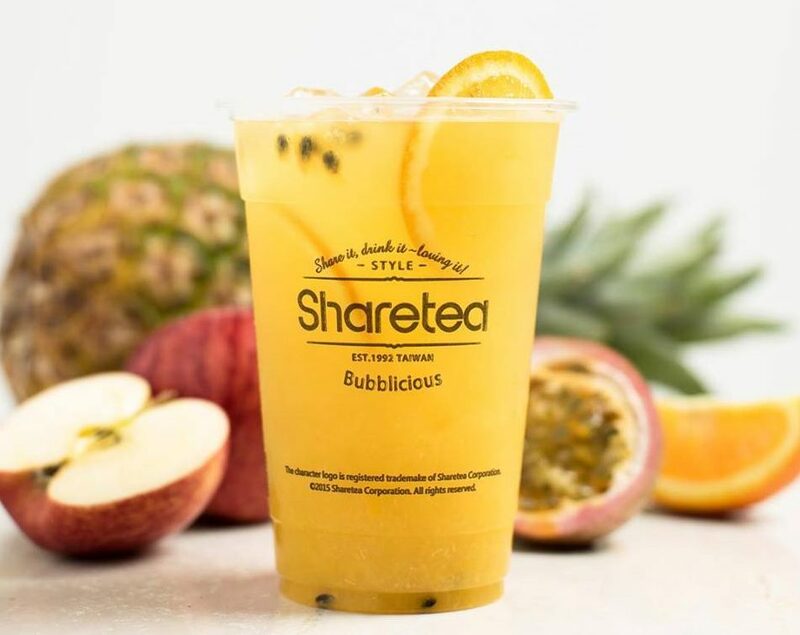 Serving a summer party in a cup, this drink packs the goodness of 4 fruits – apple, pineapple, passionfruit and orange! If you’re feeling groggy from indulging in too many sweet bubble teas, why not say “aloha” to this bright yellow alternative? Every sip of it is a burst of citrusy flavours, and that may get you addicted. There are even passionfruit seeds in it to augment that ‘fresh-squeezed, fresh-made’ experience. 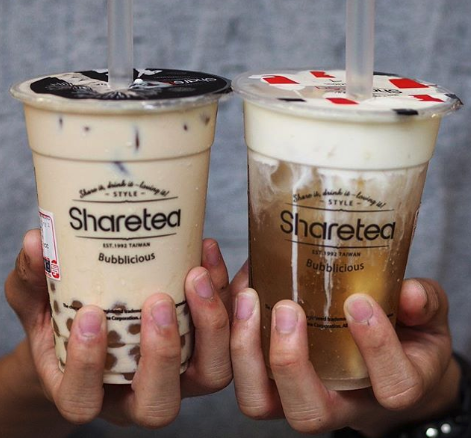 Sharetea has seen significant revamps in their brand, which makes it a lot more appealing to the current age of drinkers – the Instagrammers. A little late to the game, they also recently launched their Brown Sugar Pearl series. 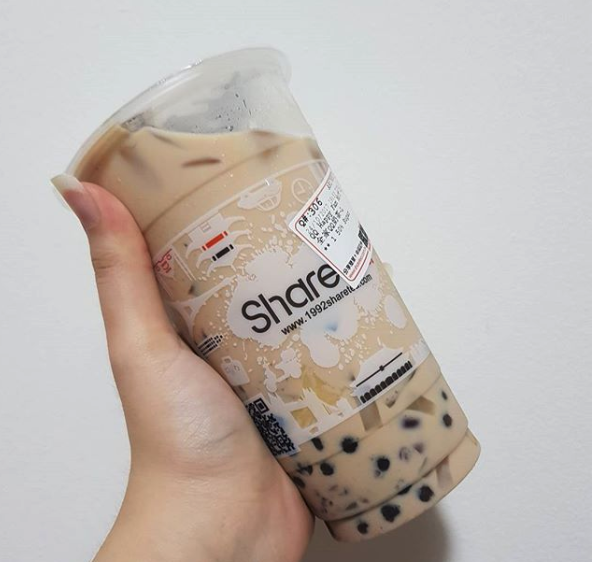 Next time you pass by Sharetea, why not give them a try?